Now on your browser, http://localhost:3000 will show the default express page. 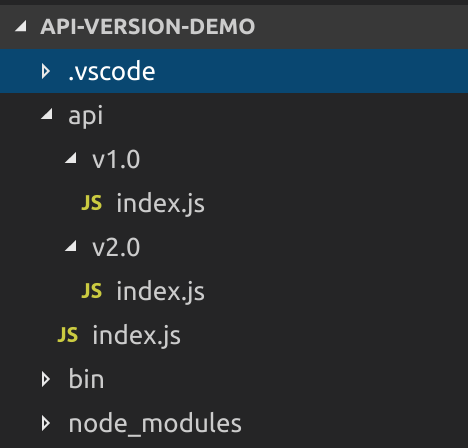 Open the app in VSCode > Click Debug icon > Configure gear icon on the Debug view top bar > Select debug environment: Node. Replace runtimeVersion with your Node version. Put a breakpoint anywhere in app.js and debug the application. in the Debug view > Select “Launch” in dropdown > F5 or click green arrow to start debug session. Make sure breakpoint hits happens. and delete routes folder. We no longer need it. When any new version is added, you need to create a new folder, setup routerfile and add a line in the above file. Now run the application. I am using REST Client in Firefox, you can use Postman in Google Chrome. You will see for each version, the expected method is called. As in approach 1, for each new version we need to add entry in api/index.js file, let’s get this step done dynamically based on folder structure. 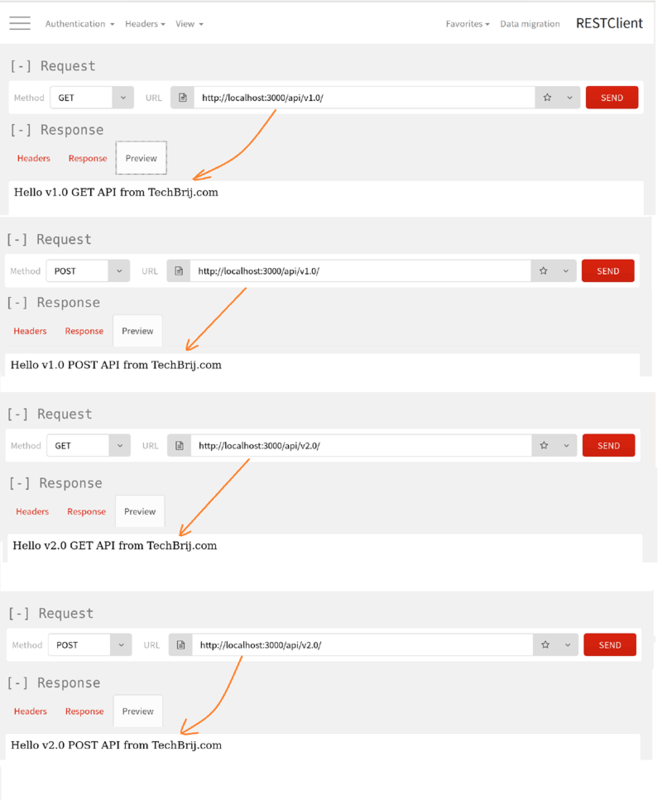 As we are strictly following folder structure and index.js file is for express router, we can leverage it. I customized the code based on our requirement. processRoutePath method traverses the provided routePath and use index.js router. As we have to search express routers for sub-folder only, so pass maxLevel = 1. If you run the API with api-new i.e. http://localhost:3000/api-new/v1.0/, you will get the same result as in approach 1. In this tutorial, we have setup a new express app, VSCode for debugging and REST API versioning using Express router in Node.js. Also, see a way to dynamically add routing from folder structure. One way is to use route parameter for versioning and use the parameter in the middleware and perform action accordingly. But if same method is used for different versions with if/else conditions then it creates complexity. So I prefer different files for different versions so that different teams can work in parallel. Do Let me know how you are implementing API versioning. Feel free to leave your thoughts in comment box.